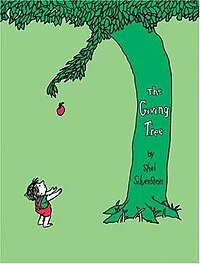 One of my favorite books growing up was The Giving Tree by Shel Silverstein. It is a fantastic book with a wonderful message about how giving can make us happy. As an adult reading the book to my sons I have also been looking at another side to the story. The tree which has been giving and giving has never fully satisfied the “appetite” of the man that keeps asking of it. So I have been asking myself what has the man given back to the tree? I guess the supposed reciprocation from the man is that of companionship to the tree, but is that truly an equal reciprocation? We are asked to reciprocate God’s generosity with generosity of our own in heart, soul, mind, and strength. This week we will begin a new series on generousity where our focus will NOT be about generousity of money, but rather the generousity that God’s expects from us. 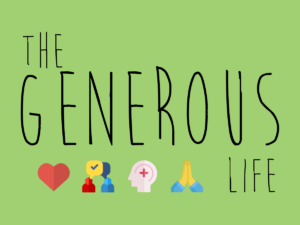 The Generous Life sermon series will show us how to live a life that understands that we don’t reciprocate God’s love by writing a check, but rather by giving of ourselves in relationship, speech, wisdom, and prayer. Join us this Sunday, September 9th, at 10:30 AM as we begin by looking at how we are asked to be generous in relationships.